Welcome to Office on the Cloud! Cloud computing is on-demand access to software services that are housed on the internet, simple to use, paid for via subscription, and accessed over the Web. Why move Your Office to the cloud? Expand your reach, drive revenue. Make it easier for customers to find/access your services. Dramatically reduce your operating costs. Minimize your technology investment and allow for growth. Katrina Proof" your office. Avoid the headaches of natural disasters and keep your data safe. Secure, anywhere, anytime. Work from home or the road, your office goes with you. Expand your office. Add users and locations. 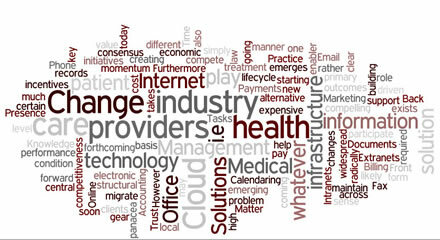 Your office on the cloud scales effortlessly. Sleep better. No Long Term contracts. Period. We help our clients simplify their lives by helping them take control of how they use technology, instead of being controlled by it. We provide consulting services that reduce the byzantine array of cloud based options to a manageable few. We don't sell software. We enable solutions that leverage it. We assess. We educate. We implement. We don't sell you fish, we teach you "how to fish." We are passionate about helping clients reduce their dependence on costly local infrastructure while improving their competitiveness. 1. We combine years of business and technology experience with world class SaaS solutions from vendors you can trust. 2. We have a deep understanding of work flow and help clients implement the relevant use cases using agile methodologies. 3. We offer Fixed Fee Packages that protect you from upside surprises in implementation costs. New Media: Connect to Win.